Last Man Standing Vintage Race Car for $40,000! Do you like the look of vintage Can-Am cars? Got 40 grand to drop so you can fulfill your track fantasies? Well slip on that Nomex, cinch up your crotchbelt, and let's go racing. Last time, fully 77% of you thought the homage Animal House Deathmobile was worth blowing that college tuition for. For today's Nice Price or Crack Pipe, we're going to see if a $40,000 1971 Merlyn MK 16 checkers your flag. Or, if that price sends you spinning into the tires on turn one. Created by Colchester Racing Developments in the early 1960s, Merlyn was one of many cottage manufacturers building small runs of race cars throughout that decade and into the 1970s. Although they focused mainly on Formula Ford, F2 and F3 cars, they also built a series of mid-engine sport racers, starting with the MK 6 and continuing with this car. Merlyn went out of business in 1979, but their cars live on in vintage events, and you can get your old-school Group 5 groove on with this race-ready BDD-powered MK 16. The seller claims that it's the last surviving MK 16 from a "production run" of 6. If that's not exclusive, we don't know what is. SVRA Group 5 is a mixture of under 2-litre cars such as this, the Lotus 23, Ginettas, Bobsy SR-2s and Cooper Monacos. USRRC and Can-AM cars also fill the field, so you could be going tire-to-tire with Lola T-70s, Porsche 908s and 910s and McLaren M1s. That's some nice company to keep. So, does $40,000 for a rare vintage racer capture your pole position? Or for that price, does it score a DNF? 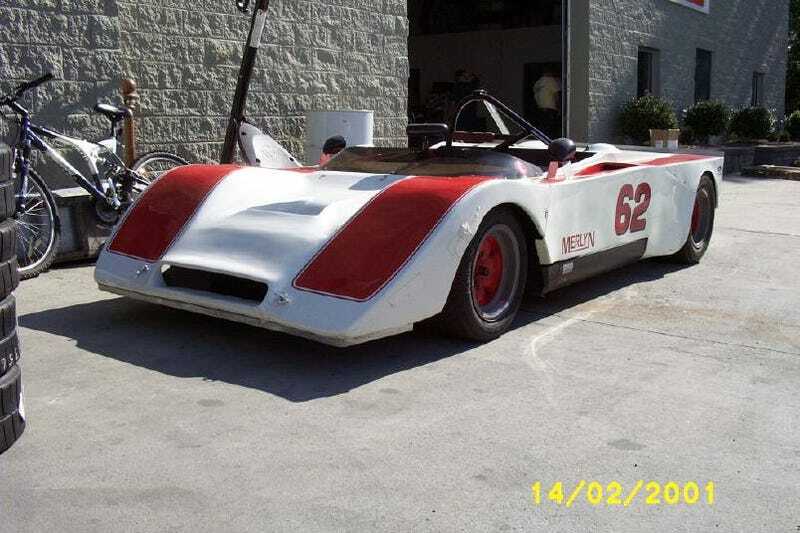 Nice Price or Crack Pipe: 1971 Merlyn Mk 16 for $40,000. [Ebay], or go here if the ad gets black flagged.